The Sofitel Paris La Défense hotel, an elegant 5-star hotel decorated by Jean-Philippe Nuel, is situated on the Esplanade, at the heart of the capital’s business district. Featuring 135 rooms, 16 spacious and bright suites and 5 modular, naturally lit seminar rooms, this luxury hotel warmly welcomes business travelers and families alike. 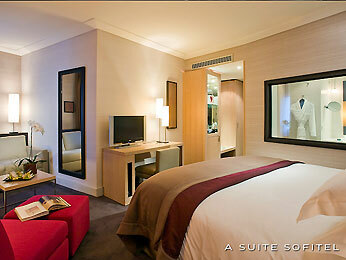 The hotel is easy to access by metro line 1: just minutes away from the Arc de Triomphe and Champs-Élysées.